1 000,00 ₴ В наличии 2 шт. 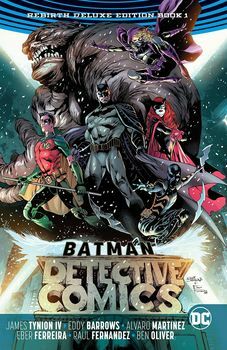 Collects Detective Comics (2016) #934-949. Written by James TynionIV, Marguerite Bennett and Steve Orlando. Art by Eddy Barrows, Eber Ferreira, Andy MacDonald, Alvaro Martinez, Brad Anderson, Raul Fernandez, Ben Oliver, Al Barrionuevo and Carmen Carnero. Cover by Eddy Barrows and Eber Ferreira. 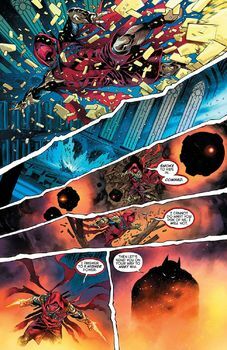 When an elite fighting force modeled after the Dark Knight invades his city, Batman assembles a team of his own: Batwoman, Tim Drake, Spoiler, Orphan and Clayface. 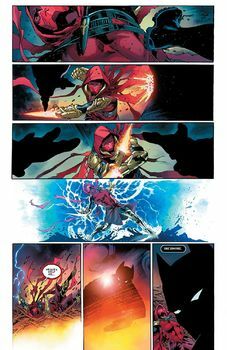 Then, a mysterious villain called First Victim appears and launches an assault on Batman and his team, forcing them to fight an enemy they know nothing about, who seems to have the support of an entire network of strange new foes!